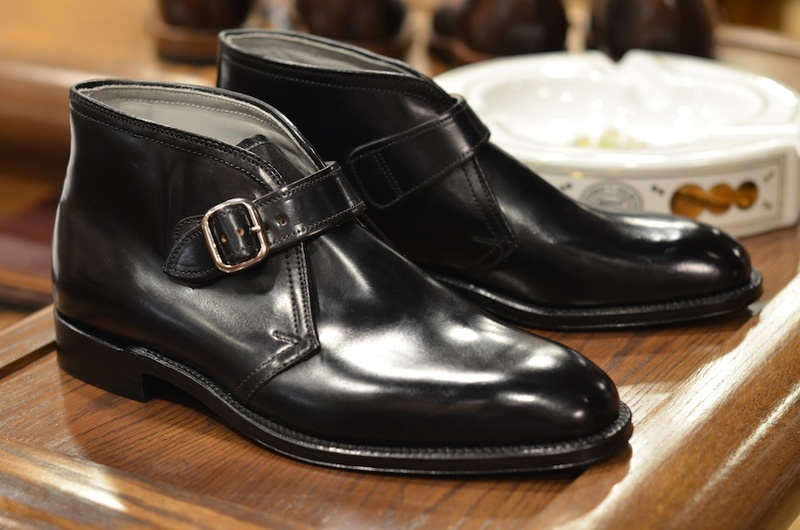 The Alden George Boot is versatile enough to wear with suits or with jeans. In 1981, a fading Paramount Pictures mountain was intersected by a familiar fedora wearing silhouette. Even before his razor sharp reflexes were evident, already this stubbly jawed adventurer cut a heroic figure. He was Indiana Jones and he was “raiding” the Lost Ark of the Covenant. Back then sans the internet, geekery was already in full bloom as rabid fans sought out, much as our intrepid archaeology professor once did, information on everything- what clothes he wore, the make of the pistol he carried, the brand of his whip and you guessed it- where Henry Jones Jr. got his shoes made. Carrying great heritage and history like much of the artifacts that monopolised Indy’s attention (that’s if he wasn’t busy trying the charm the garters off damsels in various stages of distress), the Alden Shoe Company founded in 1884 by Charles H. Alden in Massachusetts, United States specialised in handcrafted leather boots and dress shoes. If this cinematic hero was still here today (as far as I’m concerned, his adventures ended at The LAST Crusade), he probably would still be doing his footwear shopping at Alden. And while some associate the brand’s resurgence with a bout of Americana, I believe that the legions of fashionista monsieurs flocking to Alden shoes has more to do with the revival of 1920s and 1930s fashion courtesy of popular culture- Boardwalk Empire and Downton Abbey. Sourcing leathers such as its greatly sought after shell cordovan from small tanneries across Europe and the U.S., I found that the USD650 price tag is a small price to pay for exquisitely handcrafted men’s shoes. Lovingly buffed to a high gloss shine, Alden shoes are an affordable luxury that are worth considering.